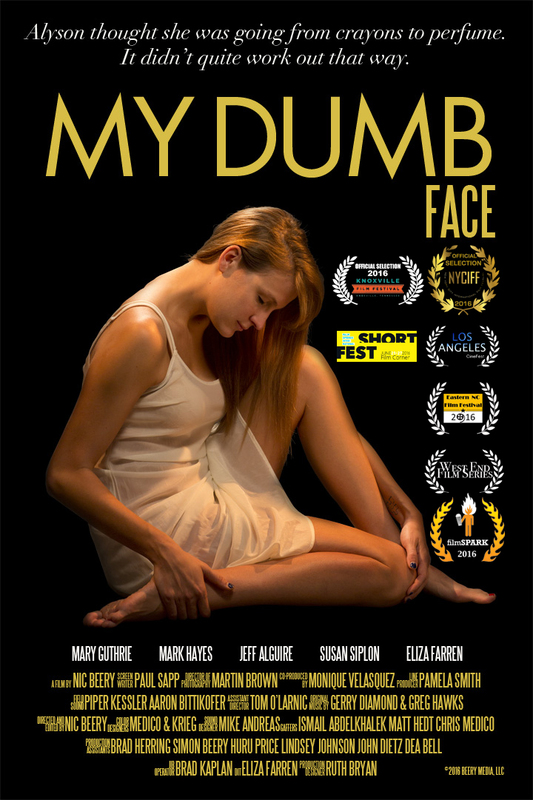 My Dumb Face is a 24 minute short film now on the festival circuit. Synopsis – It’s the crappiest night of ALY’s life. Early-30s, her life lacking direction, she’s been all but abandoned by her mother for a psychotic step-dad, the same step-dad who left her stranded at a rural roadside bar. But when death metal promoter MARCUS steps up as her unlikely savior, the ensuing road trip leads ALY to a personal crossroads: Does she take a path of emotional retreat, or dare to fight for what matters? This short film will leave you thinking long after the credits roll. Donation letters – We asked people to MAIL us a dollar. No Kickstarter here. The results were amazing.